From Interstate 55: take exit 48 (Osceola). Head East on Highway 140/West Keiser ave.
You will go through 3 stop lights. Turn left on to North Walnut Street/North Highway 61. This will bring you straight to Downtown Osceola. Courthouse square is on the right. The square will be closed to traffic. 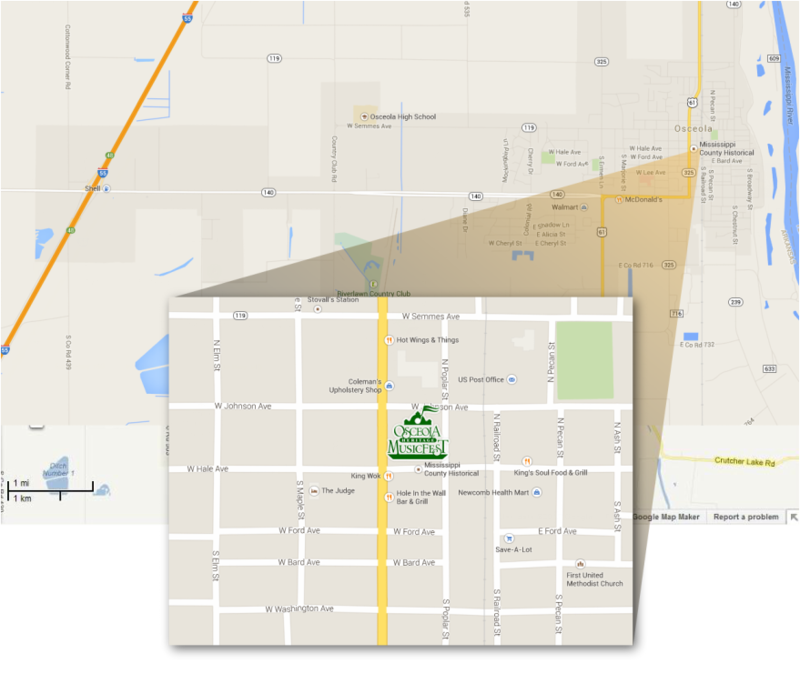 Parking is available all around the area within a short walking distance.